In my venture to cut gluten, I’ve been discovering new foods that I can eat and saying good bye to ones that I can’t. Sometimes I’ll find my old favorites redone and gluten free. I thought I’d share some of the delicious (and maybe not do delicious) gluten free snacks I come across. Today I’ll be reviewing Kettle Brand Potato Chips. Flavor: Mable Bacon. I wanted some chips top go with my lunch today and found these. It was the flavor that intrigued me. Maple bacon. Sounds weird but also tastey. 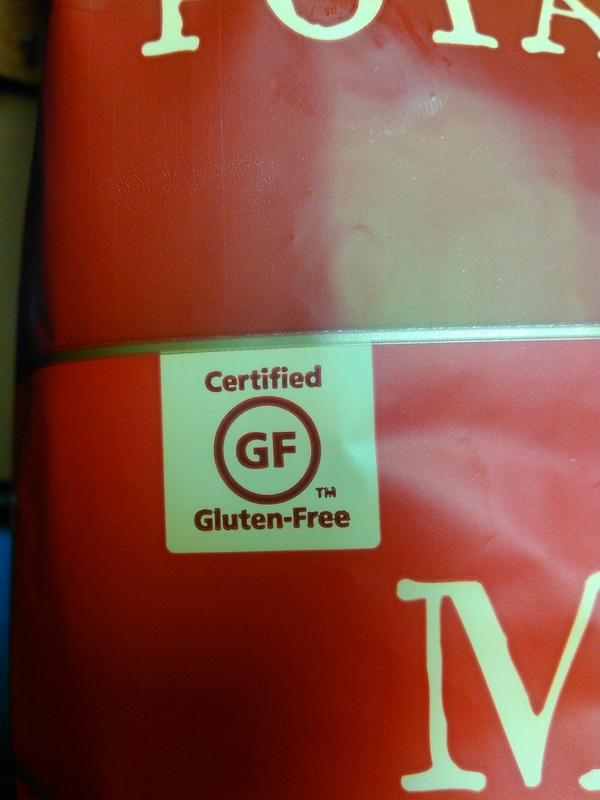 They have a Certified Gluten-Free label right on the front. 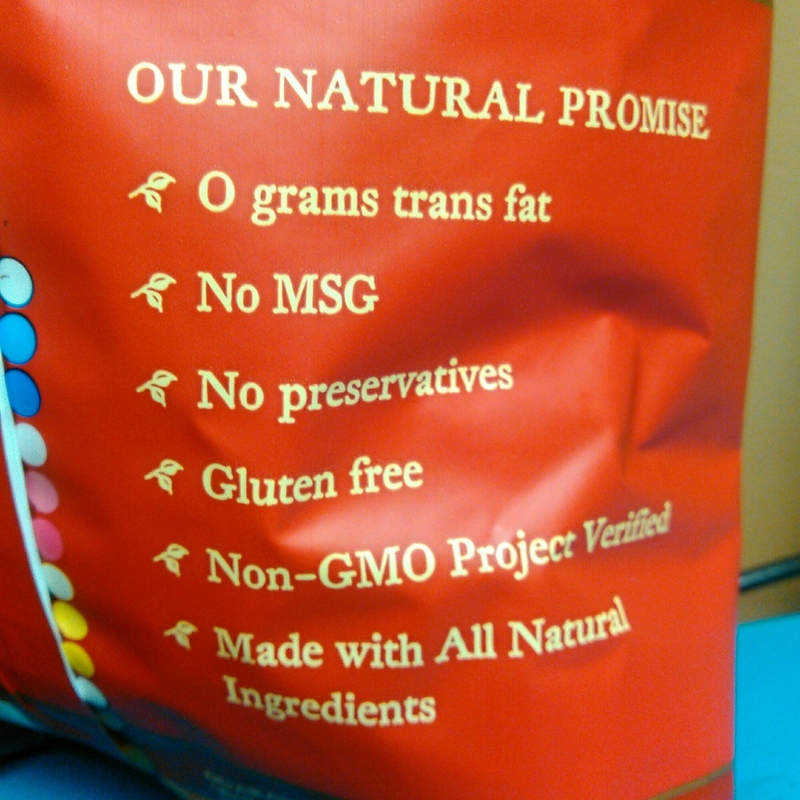 In addition to no gluten, they are also MSG and preservatives free. Flavor-Does it really taste like the flavor it claims to be? Crunchiness- Are they super crunchy or do they taste stale? Grease– Can I grease a pan with them or do they leave no trace? Thickness– Do they fall apart as soon as you pick them up or are they unbreakable? Flavor-They mostly just taste like BBQ chips. 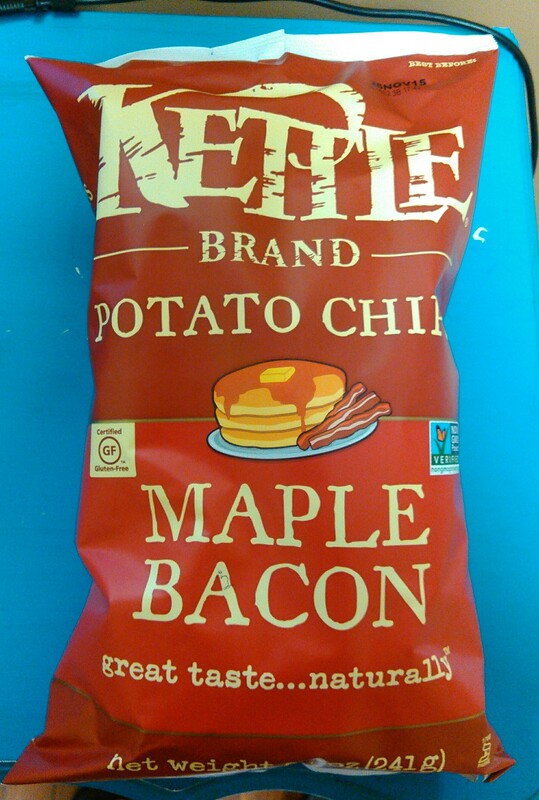 There is a sweetness which is the maple, but I can’t really taste the bacon. This is disappointing because I was looking forward to eating bacon flavored chips. For flavor these Maple “Bacon” get a 5. Crunchiness-The level of crunch, however, is a lot higher. The crunch is so loud I can barely hear myself think. Which is a good thing if you like crunchy foods. Crunch level=9. Grease-There is grease on them, but it seems to be minimal. I was finding myself wiping my hands on my pants, but little residue was left behind. Grease level=3. 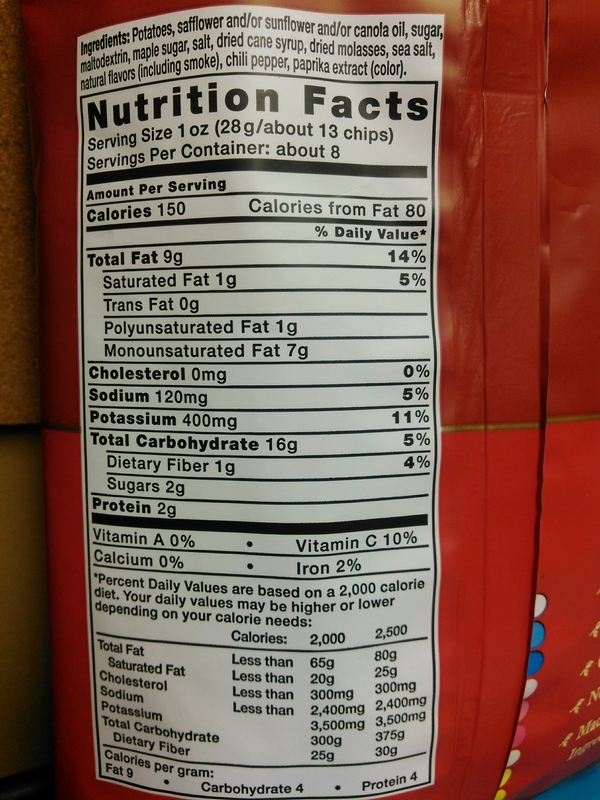 Thickness-These chips are really thick, not like flimsy Lays that are thin and brittle. Thickness level=8. Sassiness-I don’t feel that these chips are that sassy. I think if I could taste the bacon, they’d be sassier, but they just taste like sweet BBQ chip. Sassy level=5. Though the flavor is a bit misleading, I would still say these chips are still pretty delicious. I would definitely recommend them to fellow gluten-free eaters.